I seriously cannot find our camera. We haven't seen it since Christmas. I had great intentions of getting some of my recent projects photographed and posted to this site and my Facebook Fan Page, but alas. In the meantime, here is a fun site I found recently. Check it out and let me know what you think! 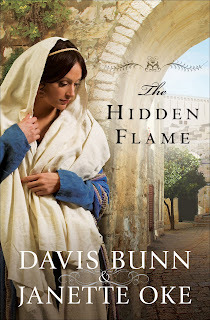 The Hidden Flame, a novel by Davis Bunn and Janette Oke, is the second in the Acts of Faith book series. While I never read the first book in the series, it was still very easy to pick up the story. The novel chronicles Abigail, a young Judean woman who is a member of the growing early Church. Abigail is a beautiful woman who easily attracts the attention of several potential suitors within Jerusalem. Ezra, a wealthy and influential Hebrew merchant, is interested in Abigail because he has young children in need of a mother. Ezra is a cunning business man and will stop at nothing to have Abigail as his own. Linux, a Roman soldier, also seeks Abigail's hand. However, while infiltrating the sect to learn more about his love interest, Linux encounters more than he bargained for. With interesting scriptural parallels the story seamlessly weaves the fictional accounts alongside true historical data about the early Church. This story is rich with the passion and fervor of early Christianity. I did have a few problems with the story. At times, it seemed like there were so many characters being introduced it was hard to keep track of them all. This may have been alleviated if I had first read the first book in the Acts of Faith series. Overall, I give it four out of five stars. It is definitely a great read. I am currently adding some new navigation and function to the blog. Feel free to peruse, just don't be shocked if it looks a bit messy for a bit! Thanks! 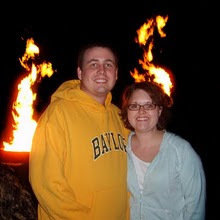 Marc has been preaching at a very small church in Waco for the past few weeks. The only problem with the situation is that the church is dying. It is no secret to those still sitting in the pews. In fact, they are passionate about saving the church, they just need direction. But with only two to four regular attenders, what can a church do to keep from closing its doors, packing up and selling out to a land development company? Christianity has not done a very good job of addressing the issue of what to do about dying churches. I know there is no easy solution - no "one size fits all" panacea. But I still wish that we wouldn't simply turn a deaf ear to the problem. In the past week I have been reflecting on the problems facing this tiny congregation as I go about my daily devotional time. I keep coming back to a deep conviction that we, meaning American Christians, have a fascination with the new, the now, the hip and the large. We like our churches hip, relevant and housed in a new building with all the bells and whistles that we should expect from a place of entertainment. And ultimately, isn't entertainment what we often come to church expecting? If that last statement stung, maybe it needed to. Maybe we need to all wake up to the disease of complacency that has taken over our hearts - and pews - and do something about it. Why is it that so many churches are starting up ministry teams to do church planting when we have churches begging to be rescued? I know that not all dying churches are alike. I know that many have stick-in-the-mud members who would die before letting go of some of their traditions - not that saving a church means letting go of tradition, rather it may mean letting go of pet issues that we think are traditions. 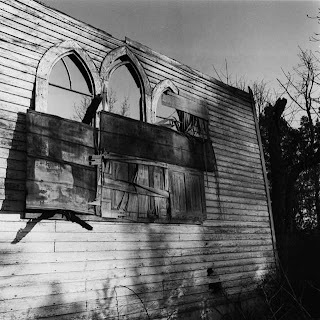 When churches refuse to be rescued they will eventually die. But what about the many churches who would welcome rescue? I don't know if rescue will come for this small church. 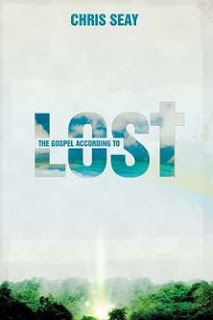 What I do know is that it has already begun rescuing my vision for ministry. What would happen if more young people- for that matter, more "seasoned" people, and in-between - decided to widen their vision and view church restoration with the same passion as church planting? I have always been slightly annoyed by the inconsistency of usage for the words yea, yay, yeah, yah and ya. Why? I don't know. Apparently I need something silly and innocuous to think about. "All in favor say yea, all opposed nay." Now for the music part. I recently found an artist that I really enjoy. Her name is Alela Diane. Check her out on Pandora! Sorry for all the book reviews of late. I have been checking things off my personal to-do list like nobody's business! It has been a huge blessing to participate in the Thomas Nelson and Bethany House Blogger Book Review clubs. All these free books have been a huge blessing to our budget! I love reading. Really, what I should say is that I love reading voraciously. If you are like me and would like to get free books in exchange for your opinion on them, then check out the links below! I started Life Undivided as a way to chronicle my life: All parts of it, the good, the bad and the crafty. This blog and my craft business (called Life Undivided Designs) are my attempt at living a genuine and non-compartmentalized life. I hope you enjoy your time here at the blog. I would love it if you would let me know what you think! My email is lifeundivided@gmail.com. If you have any questions, or want to use any of my projects, ideas or images, contact me!